On behalf of all the staff and governors, welcome to Morton Trentside Primary School. At Morton Trentside there is a strong commitment from all the staff to provide the very best education for the children in our care. We provide a warm and outstanding learning community where everyone is valued and everyone is encouraged to reach their potential. We have excellent facilities and offer a broad curriculum that is enriched by many educational visits and a wide variety of clubs. We hope that you will enjoy exploring our website. "To nurture talents and strive to ensure that every individual achieves their potential"
Morton Trentside continues to be a popular over-subscribed school situated on the outskirts of Gainsborough. We have a fantastic team and each day we are delighted by what our children say and do. We are all working together to improve our school and believe that "it takes a village to raise a child". Every child is encouraged to strive for personal excellence and the highest standard of social, spiritual and intellectual development. We value our community and constantly seek ways by which we can be involved in improving our local area and working together with other community groups and organisations to celebrate life and opportunities we all have in Morton. We aim to ensure that all children educated at Morton Trentside enjoy coming to school and gaining an enthusiasm and zest for learning that will continue through out their lives. Morton Trentside Primary School was built in 1843 as a *National School. In 1871 it was enlarged, and the infant schoolroom was added in 1882. By 1903 the school was known as Morton CE School and in 1929 it was taken over by Lindsey County Council to become Morton Council School. In 1946 senior children were transferred to Ropery Road School and in 1947 the school became Morton County Primary School. A new school was constructed near to Morton playing fields and was officially opened on 11th June 1986. 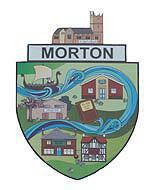 It took its present name of Morton Trentside Primary School in September 1999. Should you require paper copies of any of the information held on our website, they are available free of charge from the school office.